Wrongful death is the death caused to a victim by the negligent or intentional conduct of another person or entity. The wrongful death may result from an accident, medical malpractice, occupational hazard or criminal behavior. In California, there are two legal avenues that may be pursued after the wrongful death of a loved one, a criminal prosecution and a civil wrongful death cause of action. It is important that you understand the key distinctions that exist between the two legal avenues. In a criminal case, the government will prosecute murder, homicide, and manslaughter charges associated with the wrongful death of your loved one. The legal standard of proof that the government must meet in a criminal case is beyond a reasonable doubt. This means that the prosecution has the burden of proving that the only reasonable explanation that can be derived from the evidence is that the defendant committed the crime that caused your loved one’s death. Guilt under the criminal justice system will be assessed in the form of punishment, resulting in the loss of liberty, probation, and court fines imposed on the defendant. On the other hand, in a civil wrongful death cause of action, the survivors of the deceased person are the ones who may file a civil lawsuit against the person responsible for the wrongful death of their loved one. The legal standard of proof in a civil wrongful death case is a preponderance of the evidence and the burden of proof lies on the plaintiff’s attorney. This is why it is crucial that you retain an attorney who specializes in wrongful death cases and knows what kind of evidence is necessary to prove that it is more likely than not that the defendant caused your loved one’s death by negligent or intentional conduct and that as a result of the wrongful death you are now suffering monetary injury. Upon a successful wrongful death claim, fault under the civil legal system will be assessed in the form of compensation, resulting in the court holding the person legally responsible for causing the victim’s death accountable for money damages. As the survivor of a wrongful death victim, you may choose to file a wrongful death claim in civil court at the same time that the criminal prosecution is taking place or wait for the conclusion of the criminal case. If the criminal prosecution is unsuccessful do not be discouraged from filing a wrongful death claim in civil court, keep in mind that the legal evidentiary standard for a civil wrongful death cause of action is much lower than the legal evidentiary standard of beyond a reasonable doubt that is required for a conviction in a criminal case. This distinction is important because a person who is tried for a crime associated with the death of your loved one but is not convicted under the criminal justice system may still be found financially liable for the wrongful death of your loved one in civil court. At the San Diego Injury Law Office, we specialize in litigating wrongful death claims and we understand that you are going thru a very difficult time. Losing a loved to a wrongful death can be specially traumatizing but you are not alone, our firm is here to offer you the legal advice that you will need to obtain the award in damages that you deserve. Make an informed decision, contact our legal wrongful death experts at (619) 343-2992 for a free consultation today to discuss the merits of your claim! The state of California provides surviving family members the legal remedy of filing a civil lawsuit against the person responsible for the wrongful death of a loved one. In other words, it will be your relationship to the victim that will determine your eligibility to file for a wrongful death cause of action. Pursuant to California Civil Code Section 377.60 a cause of action for the wrongful death of a loved one may be filed by the decedent person’s surviving spouse, domestic partner, children, and issue of deceased person’s children. In the instance where your loved one does not have a surviving person in their direct line of descent, then a wrongful death cause of action may be filed by the persons who would be entitled to the property of the decedent person by intestate succession. This includes the deceased person’s parents, siblings, surviving spouse or domestic partner. Also, if you can prove that you were financially dependent on your loved one as the stepchild of the deceased person or the surviving spouse of a void or voidable marriage who is found by the court to have believed in good faith that your marriage to the deceased person was valid, you and your children may assert a wrongful death claim. 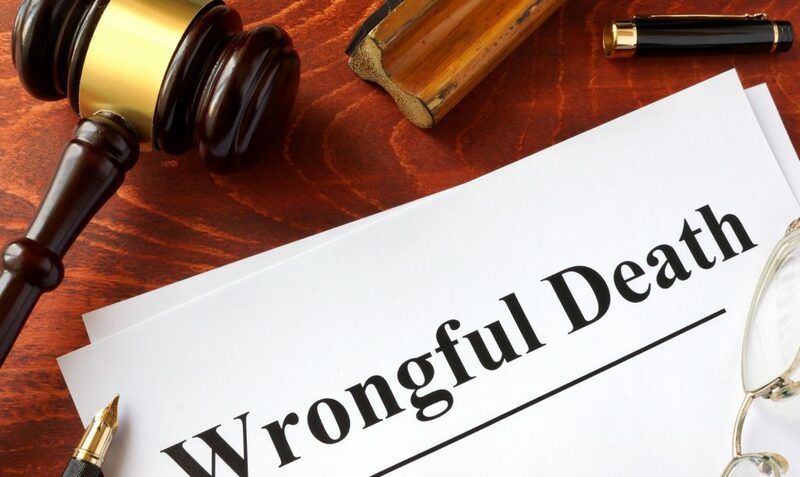 Lastly, any minor who resided in the decedent’s household six months prior to the decedent’s wrongful death and was dependent of the decedent for one half or more of financial support, is entitled to file a wrongful death cause of action. In order to file a wrongful death cause of action, you must have been in one of these designated relationships with the victim of a wrongful death. At the San Diego Injury Law Office, we understand the complexity of these relationships and have vast experience successfully representing every eligible plaintiff in a wrongful death cause of action. To ensure that you have a right to assert a wrongful death claim give us a call at (619) 343-2992, our knowledgeable attorneys are standing by to provide a free consultation. If you have lost a loved one due to the wrongful conduct of another, you have a right to pursue a wrongful death cause of action for the losses associated with the loss of your relationship. The principle measure of compensation in a wrongful death claim is financial loss. At the San Diego Injury Law Office, we know that there is no amount of money that will make your family whole again but the reality is that the wrongful death of your loved one also represents an immense financial loss that you will suffer. Our goal at the San Diego Injury Law Office is to fight for the surviving family members that were left behind so that you do not have to be burdened financially because of the wrongful death of your loved one. When determining compensation in a wrongful death cause of action, our firm will dedicate all of our legal resources to prepare the most accurate depiction of your loss. We will begin by having you meet with our legal analyst to discuss personal aspects of your loved one’s life. As part of the interview process, you will be asked questions about the victim’s age, physical and mental health, education, vocational training, employment history, salary, finances, family and relationships. While this may seem like a difficult task for you, rest assured that our legal analyst has the experience to earn your trust and make you feel comfortable throughout the entire interview process. From the interview, our skilled attorneys will extract valuable information about your loved one’s personal circumstances at the time of their death. This will provide insight into the factors that must be accounted for in determining compensation. For example, the victim’s life expectancy, earning capacity, financial responsibilities, the loss of anticipated financial support, and loss of companionship. To maximize the amount of compensation that you will receive, we will provide expert testimony at trial from our medical, psychological and financial experts. Together they will provide a comprehensive picture of the loss you will suffer as a result of the loss of the relationship with the victim of a wrongful death. Our skilled litigators will then present all of our findings to the jury to show by a preponderance of the evidence the financial loss that the wrongful death of your loved one represents for his or her survivors. You have already lost so much, do not risk losing your wrongful death claim, contact the San Diego Injury Law Office at (619) 343-2992 and we will put our entire team of legal experts at your disposal to prepare all of the evidence that is available in your case to obtain the just compensation that you deserve as the survivor of a wrongful death victim! Damages are the monetary compensation that survivors of wrongful death victims may recover in a wrongful death civil claims from the person that is legally responsible for causing the death of their loved one. In the state of California, a survivor of a wrongful death victim can recover two types of damages, actual and general. Actual damages may be sought for the monetary losses associated with the loss of the relationship with your loved one. Actual damages in a wrongful death claim may include the funeral and burial expenses, loss of anticipated financial support and loss of benefits. General damages may be sought for the non-monetary losses associated with the loss of the relationship with your loved one. General damages in a wrongful death claim may consist of loss of companionship, guidance and support. If you have lost a loved one whether as a result of an accident or by someone’s intentional conduct, you know first-hand the extent of loss that is caused by a wrongful death. At the San Diego Injury Law Office, our primary goal is to hold the wrongdoer accountable for the maximum amount of damages available in your case! This will require vast experience handling these type of cases, commitment to your cause of action and effective preparation of your case; for the legal representation that you deserve, give us a call now at (619) 343-2992 to set up a free consultation today.